There’s always something - an invisible thread - that ties an expat to the motherland. This bond often manifests itself in food. In West Africa, I was tortured by cravings for Heinz Baked Beans. This affliction spread like a contagion around the Brit community, so much so, that one friend who often traveled to Nigeria would smuggle back a suitcase laden with green tins to appease our hunger. Now that I can buy baked beans - the English recipe, no less! - in every supermarket, I’ve lost the pang. Now, I’m beset with a longing for proper fish ‘n chips. Sadly, you can’t get a haddock, chips and mushy peas in a tin. 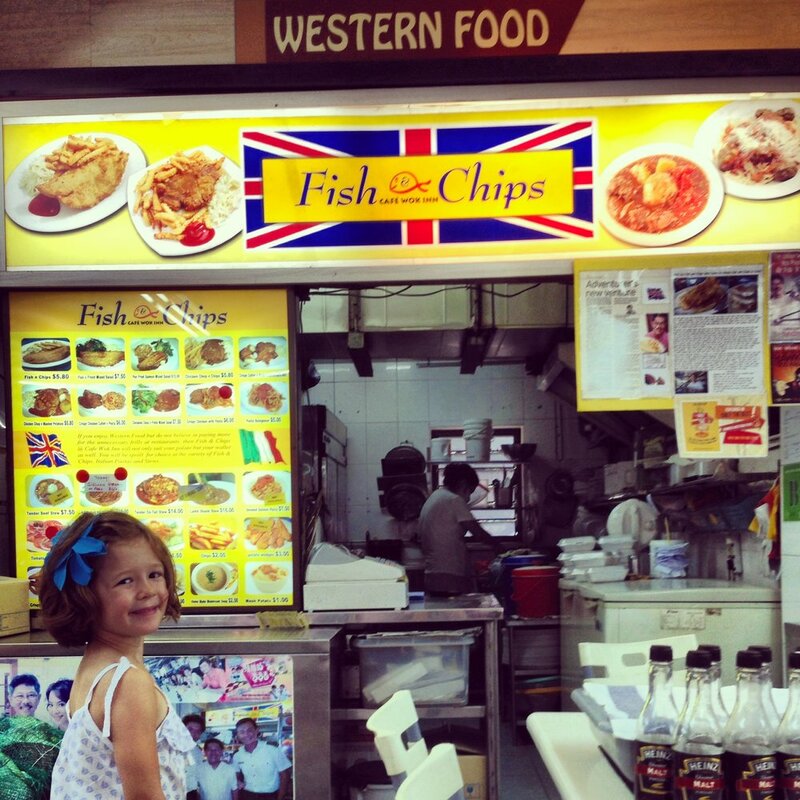 But, happily, the owner of the Wok Inn hawker stall in Toa Payoh has even more experience of fish ‘n chips than I do - Singaporean Michael Molina spent 40+ years living in London where he worked for a time in a chippie. He even speaks with a charming East London accent, innit. The food isn’t quite authentic - no cod, lah - and there aren’t enough chips. There should always be an unnecessary amount of chips, more chips than a sane person could ever hope to eat, enough chips to get drunk on vinegar. But there is coleslaw, an innovation I approve. So I’ll be a regular to Michael’s Wok Inn - and the existence of his stall adds to my conviction that there is absolutely no reason to leave Toa Payoh. All the world is here. It's a bit of a walk from the Toa Payoh MRT station but doable. Or there's a handy car park right next to the hawker centre.